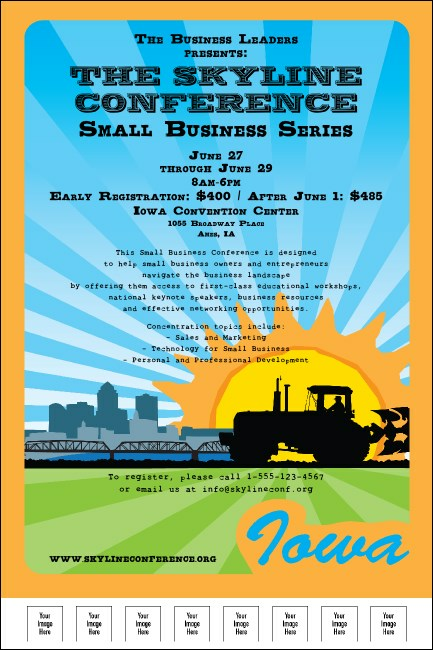 When you are planning your perfect local event, consider sharing it with your community with the Iowa Poster. This big, colorful poster template is printed with the central image of a tractor, a city skyline and room for eight logos or photos. Celebrate in the American heartland with promotional materials from TicketPrinting.com.